The coins were released on 11th November, 2015 and we received our first delivery on 26th November. On 2nd March, 2015, The Royal Mint unveiled a new effigy of the Queen, designed by Royal Mint engraver Jody Clark. 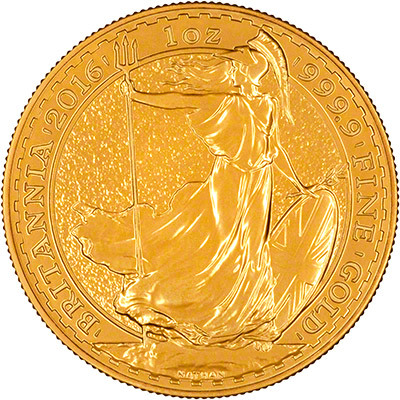 Whilst the 2015 proof Britannias had the new design on their obverse, the bullion coins kept the fourth design, by Ian Rank-Broadley. This makes the 2016 bullion Britannias the first to feature the fifth portrait. 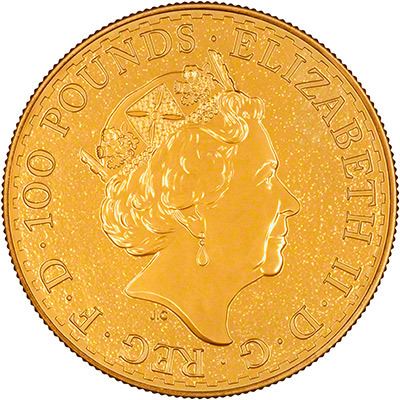 The obverse features the new fifth portrait of the Queen designed by Royal Mint engraver Jody Clark. We expect the reverse design to feature the classic standing Britannia. We believe that now The Royal Mint is trying to push its bullion products they are no longer producing fractional bullion / uncirculated Britannias. If we hear otherwise you will be the first to know.